The organization hopes to raise $60,000 this year. Hundreds of community members from Moorestown and surrounding areas will come together this June for a common cause — to join the fight against cancer. Moorestown High School will host the annual event on Friday, June 9 from 6 p.m. until midnight. Relay for Life of Moorestown ambassador Jason Hicks, who has been involved from the start, hopes to surpass last year’s totals in terms of both participants and funds raised. When Relay for Life of Moorestown was founded in 2015, the event drew 250 participants and raised $30,000, doubling the fundraising goal. Last year, 350 community members raised $50,000. This year, Hicks hopes to see the event garner 500 participants and $60,000, and the club is more than halfway there. “We are climbing to that goal each day,” Hicks said. Registration is $10, and participants can register until the start of the event. 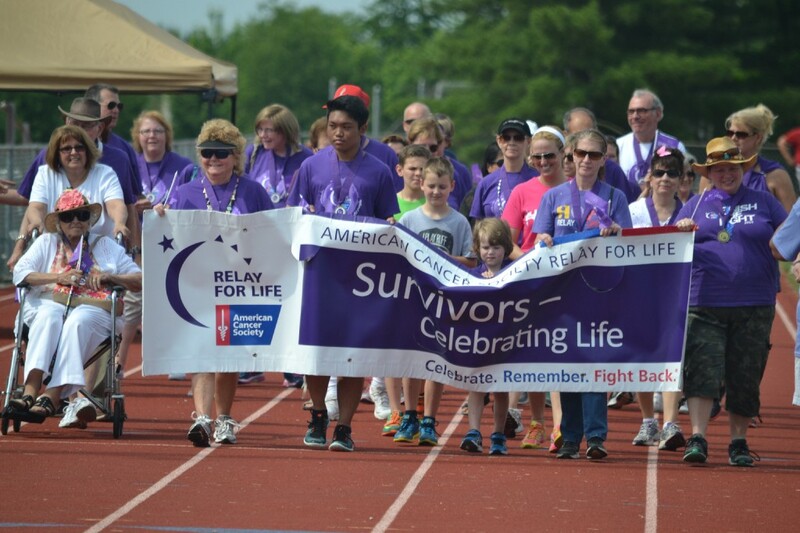 Relay For Life is the American Cancer Society’s signature fundraising activity. Community members are asked to create teams and have members take turns walking around the track, which symbolizes a cancer patient’s journey, with one member from each team on the track at all times. Fundraising lasts for months leading up to Relay and continues until the end of the event. Community manager Susan Connelly describes Relay day as a carnival of sorts. “We kick off the event with our opening ceremony, followed by our survivors and caregivers laps. Following those laps, the rest of the teams take the track and the celebration begins,” Connelly said. The opening ceremony is a celebration for all affected by cancer, whereas the survivors and caregivers laps honor the strength of those who have battled cancer and the selflessness of those who have cared for them. After a survivors’ reception, Relay goes into a themed lap, celebratory activities and games. “Around dusk, we hold our Luminaria ceremony, which is set to honor and remember all who have been touched by cancer,” Connelly said. Each Luminaria bag represents a family member or friend lost to cancer and honors survivors. The Luminaria ceremony is following by a silent lap, then participants continue to walk the track until midnight when the event wraps up with a closing ceremony for all those involved to celebrate their achievement. Food vendors are available throughout the evening along with other entertainment such as Zumba classes and a DJ. Months of planning go into each Relay, but it’s all worth it in the end, according to Hicks. Connelly says Relay is a fun way to stand up with your community and rally against cancer. Her inspiration comes from her grandmothers, who both fought and beat cancer twice. Those who can’t participate the day of Relay can still help by signing up and fundraising or spreading the word to family and friends through word of mouth, email and social media. For more information or to sign up, visit www.relayforlife.org/moorestownnj.